Avesoro FINANCIAL HIGHLIGHTS FOR THE THREE AND SIX MONTHS ENDED JUNE 30, 2018 FINANCIAL HIGHLIGHTS FOR THE THREE AND SIX MONTHS ENDED JUNE 30, 2018 – Avesoro Resources Inc.
Avesoro Resources Inc., (“Avesoro” or the “Company”), the TSX and AIM listed West African gold producer, is pleased to announce the release of its unaudited financial results for the quarter (the “Quarter” or “Q2”) and six months (“H1”) ended June 30, 2018. Cash of US$12.7 million and debt of US$134.5 million at June 30, 2018. Operating cash flows of US$8.5 million in the Quarter. Serhan Umurhan, Chief Executive Officer of Avesoro, commented: “We delivered a strong operational and financial performance during the first half of 2018 producing over 128,000 ounces of gold across our two mines at an operating cash cost of US$658 and all-in-sustaining cost of US$932 per ounce sold. Both New Liberty and Youga are performing in line with expectations helping the Company to generate US$47.9 million in cash flow so far this year. 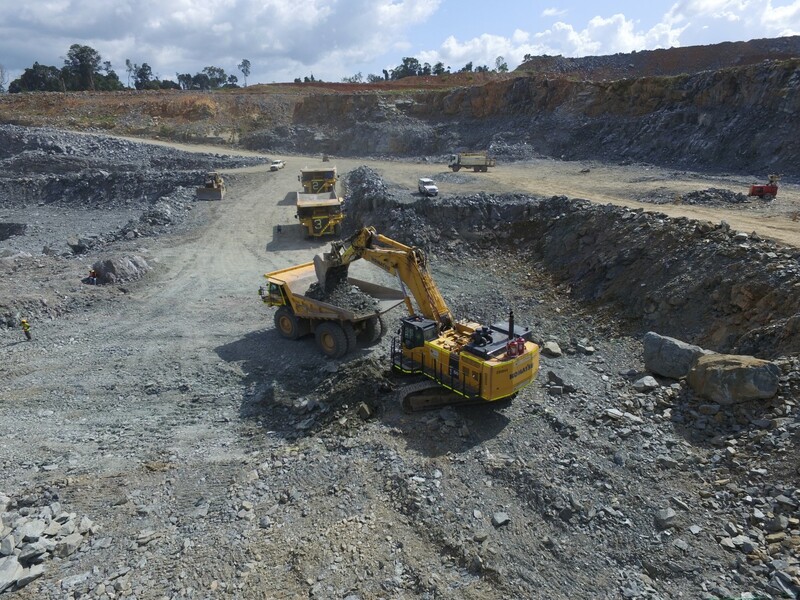 Following a particularly strong Q1 2018 performance, the Youga mine is now performing at a normalised production rate. New Liberty’s performance continues to improve with a further seven percent increase in gold production during the Quarter and unit cost reductions in all key areas of operations. We continue to make good progress with our substantial exploration drilling programme across both Liberia and Burkina Faso, with 89,900 metres of diamond drilling having been completed across our portfolio so far this year, representing 52% of the full year budget. We expect these activities to provide further increases in shareholder value in addition to the 29% increase in mineral reserves at Youga already announced earlier in the Quarter. Operating cash costs, AISC and EBITDA, are non-GAAP measures and are defined in the notes section of this announcement. 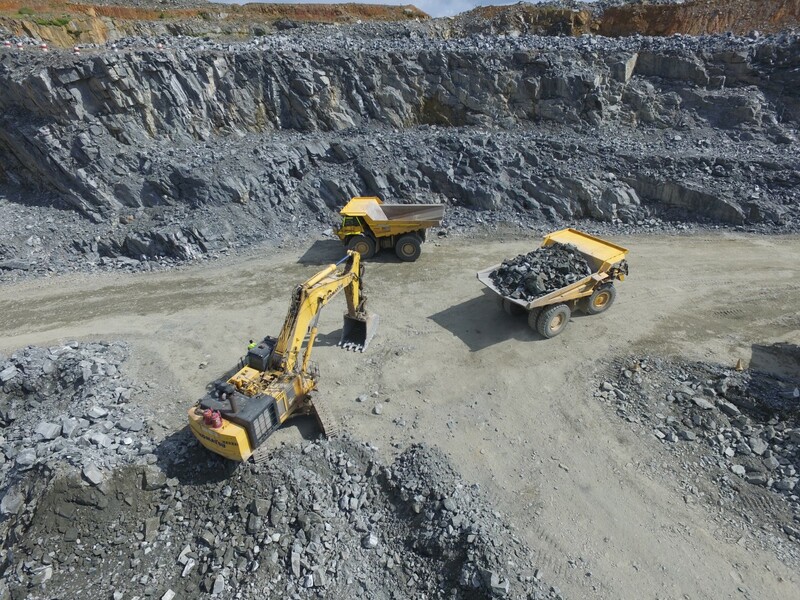 During the second half of 2018, the Company expects to see further improvements in unit cost performance as mining volumes increase following the commissioning of additional heavy mining equipment at both New Liberty and Youga and also the increased plant throughputs that have been enabled through process plant optimisation activities undertaken during H1 2018. 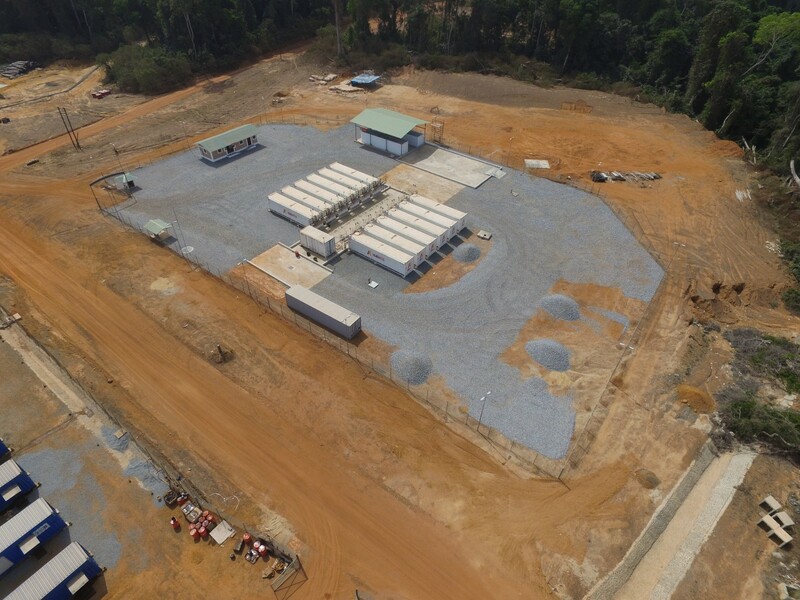 The Company maintains its full year production guidance of 220,000 – 240,000 ounces of gold at an operating cash cost of US$620 to US$660 per ounce sold and all-in-sustaining cost of between US$960 and US$1,000 per ounce sold. Following the Mineral Resource and Reserve upgrade for Youga published during Q2 2018, the Company’s extensive drilling campaigns continue to progress at pace in both Liberia and Burkina Faso with 89,900 metres of diamond drilling completed during H1 2018. The Company now looks forward to further updating the market on the results of its Mineral Resource upgrade work at New Liberty during Q3 2018 and its infill drilling campaign at the Ndablama deposit during Q4 2018. The Financial Statements are appended to this announcement. Both the Financial Statements and the accompanying Management Discussion and Analysis are available for review at the Company’s website, www.avesoro.com and on www.sedar.com. In preparing the Company’s interim financial statements for the period ended June 30, 2018, Management noted an error in the calculation of the fair valuation of related party loans with Mapa Insaat ve Ticaret A.S. that requires the restatement of the audited consolidated statement of financial position as at December 31, 2017 and unaudited interim consolidated statement of financial position as at March 31, 2018. The impact of the restatement of the audited consolidated statement of financial position as at December 31, 2017 is to increase the current portion of borrowings by US$2.0 million, increase the non-current portion of borrowings by US$3.2 million and reduce the capital contribution in equity by US$5.2 million. The impact of the restatement of the unaudited interim consolidated statement of financial position as at March 31, 2018 is to increase the current portion of borrowings by US$2.8 million, increase the non-current portion of borrowings by US$4.9 million and reduce the capital contribution in equity by US$7.7 million. The adjustments have no impact on profit nor cash flows for the year ended December 31, 2017 nor for the three months ended March 31, 2018. The repayment terms, rates and amounts payable pursuant to the loan agreements are unchanged. The Company will re-file on SEDAR the restated audited consolidated financial statements as of and for the year ended December 31, 2017 and the restated unaudited interim consolidated financial statements as of and for the three months ended March 31, 2018. Non-GAAP Financial Measures: The Company has included certain non-GAAP financial measures in this press release, including operating cash costs and all-in sustaining costs (“AISC”) per ounce of gold sold and EBITDA. These non-GAAP financial measures do not have any standardised meaning. Accordingly, these financial measures are intended to provide additional information and should not be considered in isolation or as a substitute for measures of performance prepared in accordance with International Financial Reporting Standards (“IFRS”). Operating cash costs and AISC are a common financial performance measure in the mining industry but have no standard definition under IFRS. Operating cash costs are reflective of the cost of production. AISC include operating cash costs, net-smelter royalty, corporate costs, sustaining capital expenditure, sustaining exploration expenditure and capitalised stripping costs. The Company reports cash costs on an ounces of gold sold basis. The Company calculates EBITDA as net profit or loss for the period excluding finance costs, income tax expense and depreciation. EBITDA does not have a standardised meaning prescribed by IFRS and should not be considered in isolation or as a substitute for measures of performance prepared in accordance with IFRS. EBITDA excludes the impact of cash costs of financing activities and taxes and the effects of changes in working capital balances and therefore is not necessarily indicative of operating profit or cash flow from operations as determined under IFRS. Other companies may calculate these measures differently and should not be considered in isolation or as a substitute for measures of performance prepared in accordance with IFRS. Certain information contained in this press release constitutes forward looking information or forward looking statements within the meaning of applicable securities laws. This information or statements may relate to future events, facts, or circumstances or the Company’s future financial or operating performance or other future events or circumstances. All information other than historical fact is forward looking information and involves known and unknown risks, uncertainties and other factors which may cause the actual results or performance to be materially different from any future results, performance, events or circumstances expressed or implied by such forward-looking statements or information. Such statements can be identified by the use of words such as “anticipate”, “plan”, “continue”, “estimate”, “expect”, “may”, “will”, “would”, “project”, “should”, “believe”, “target”, “predict” and “potential”. No assurance can be given that this information will prove to be correct and such forward looking information included in this press release should not be unduly relied upon. Forward looking information and statements speak only as of the date of this press release. Forward looking statements or information in this press release include, among other things, statements regarding full year 2018 production guidance of 220,000 to 240,000 ounces of gold at an operating cash cost of between US$620 to US$660 per ounce sold and an all-in sustaining cost of between US$960 and US$1,000 per ounce sold, statements regarding improvements in its unit cost base, increased mining rates, increased plant throughputs, publishing of an updated Mineral Resource and Mineral Reserve for New Liberty during Q3 2018 and the Ndablama deposit during Q4 2018. Actual results could differ materially from those anticipated in the forward looking information or statements contained in this press release as a result of risks and uncertainties (both foreseen and unforeseen), and should not be read as guarantees of future performance or results, and will not necessarily be accurate indicators of whether or not such results will be achieved. These risks and uncertainties include the risks normally incidental to exploration and development of mineral projects and the conduct of mining operations (including exploration failure, cost overruns or increases, and operational difficulties resulting from plant or equipment failure, among others); the inability of the Company to obtain required financing when needed and/or on acceptable terms or at all; risks related to operating in West Africa, including potentially more limited infrastructure and/or less developed legal and regulatory regimes; health risks associated with the mining workforce in West Africa; risks related to the Company’s title to its mineral properties; the risk of adverse changes in commodity prices; the risk that the Company’s exploration for and development of mineral deposits may not be successful; the inability of the Company to obtain, maintain, renew and/or extend required licences, permits, authorizations and/or approvals from the appropriate regulatory authorities and other risks relating to the legal and regulatory frameworks in jurisdictions where the Company operates, including adverse or arbitrary changes in applicable laws or regulations or in their enforcement; competitive conditions in the mineral exploration and mining industry; risks related to obtaining insurance or adequate levels of insurance for the Company’s operations; that Mineral Resource and Reserve estimates are only estimates and actual metal produced may be less than estimated in a Mineral Resource or Reserve estimate; the risk that the Company will be unable to delineate additional Mineral Resources; risks related to environmental regulations and cost of compliance, as well as costs associated with possible breaches of such regulations; uncertainties in the interpretation of results from drilling; risks related to the tax residency of the Company; the possibility that future exploration, development or mining results will not be consistent with expectations; the risk of delays in construction resulting from, among others, the failure to obtain materials in a timely manner or on a delayed schedule; inflation pressures which may increase the cost of production or of consumables beyond what is estimated in studies and forecasts; changes in exchange and interest rates; risks related to the activities of artisanal miners, whose activities could delay or hinder exploration or mining operations; the risk that third parties to contracts may not perform as contracted or may breach their agreements; the risk that plant, equipment or labour may not be available at a reasonable cost or at all, or cease to be available, or in the case of labour, may undertake strike or other labour actions; the inability to attract and retain key management and personnel; and the risk of political uncertainty, terrorism, civil strife, or war in the jurisdictions in which the Company operates, or in neighbouring jurisdictions which could impact on the Company’s exploration, development and operating activities.